Elasticity is the tendency of solid materials to return to their original shape after forces are applied on them. When the forces are removed, the object will return to its initial shape and size if the material is elastic. Viscosity is a measure of a fluid’s resistance to flow. A fluid with large viscosity resists motion. A fluid with low viscosity flows. For example, water flows more easily than syrup because it has a lower viscosity. High viscosity materials might include honey, syrups, or gels – generally things that resist flow. Water is a low viscosity material, as it flows readily. Viscous materials are thick or sticky or adhesive. Since heating reduces viscosity, these materials don't flow easily. For example, warm syrup flows more easily than cold. Viscoelasticity is the property of materials that exhibit both viscous and elastic characteristics when undergoing deformation. Synthetic polymers, wood, and human tissue, as well as metals at high temperature, display significant viscoelastic effects. In some applications, even a small viscoelastic response can be significant. The difference between elastic materials and viscoelastic materials is that viscoelastic materials have a viscosity factor and the elastic ones don’t. Because viscoelastic materials have the viscosity factor, they have a strain rate dependent on time. Purely elastic materials do not dissipate energy (heat) when a load is applied, then removed; however, a viscoelastic substance does. What are uses of a viscoelastic material? Viscoelastic materials are used for isolating vibration, dampening noise, and absorbing shock. They give off the energy absorbed as heat. What is a good viscoelastic material to use? Sorbothane® is recognized worldwide as the ultimate material for absorbing shock, isolating vibration and damping noise. No synthetic rubber or polymer can dissipate energy as effectively. Sorbothane® is a highly damped, visco-elastic polymeric solid that flows like a liquid under load. Sorbothane is used in many applications because not only can it reduce vibration as it is intended, it can do so without being impacted by extreme temperatures. It is also resilient to a number of harmful chemicals. It can be cut and shaped to a specific application, which makes custom fitting a machine possible. Whether it is a commercial or private use, this might be the only vibration reduction material that you need to consider. Since its introduction in 1982, Sorbothane® has been used in many energy absorbing product applications. Our engineers partnered with NASA to design a unique Sorbothane® isolator that protects the vital shuttle cameras during launch. 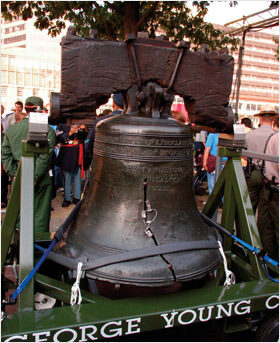 Curators from the National Park Service and the Philadelphia Museum of Art placed their complete trust and confidence in a specially designed Sorbothane® isolation system that protected the historic Liberty Bell, from further damage, as it was successfully transported 935 feet to its new home. When Wilson Sporting Goods needed a superior shock absorbing pad, for their new professional series of baseball gloves, they turned to Sorbothane®. The 270 feet high Air Force Memorial could not have been successfully constructed without Sorbothane® dampers helping to displace wind energy and prevent destructive oscillation of the distinctive stainless steel spires. Sorbothane has a wide range of damping material properties. It allows excessive noise and heat to be safely dissipated before it reaches the human operators. It prevents vibrational creep, which is the action of a machine moving out of place due to the vibrations during operation. It can also absorb some of the vibrations where two machines connect. New designs, especially those that use newer, composite materials, may need to use different types of bonding agents, which makes the pieces stronger but also eliminates one of the methods of damping. Sorbothane restores that ability without changing the strength or design of the machine and without impacting user safety. 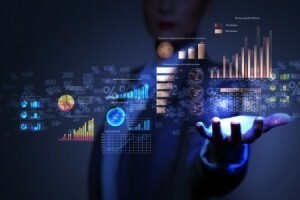 While one of our standard products might not suit your needs, our engineers can work with you to design a custom component to help your product succeed. Interested in learning more? Request a quote from Sorbothane today.